Heather's Perfect Posts: Aren't Woodpeckers Interesting? Wow! Here is a tree with lots of some kind of nut We are not sure if they are oak nuts, but they kind of look like them. 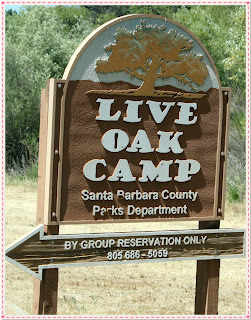 In addition, they are oak trees and it is pretty obvious because the place is called Live Oak Camp. There were also some trees that had holes and did not have nuts growing in them. 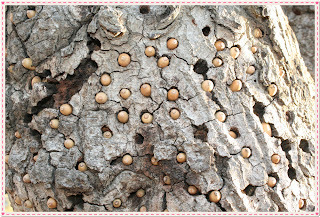 We thought the woodpeckers drilled the holes into them and then placed nuts for food throughout the winter. I took one out of the tree and cracked it open. It looked like an almond but then I took the brown flap off and it had a yellow inside! What do you think this nut is called? What a terrific post full of high level writing and fantastic images! Your photos really complement the text! Well done, Heather! I once had a woodpecker try to tap a hole in my roof! I was sleeping one morning and I heard this tap, tap, tap. Tap, tap, tap, tap, tap and tap. I went outside on the porch to see what was making the noise. As soon as the woodpecker saw me, he flew away. I went back inside and sure enough, tap, tap, tap. Tap, tap, tap, tap, tap and tap! The woodpecker and I went back and forth in this way until he grew bored and flew away for good. Luckily, he did not damage the house! 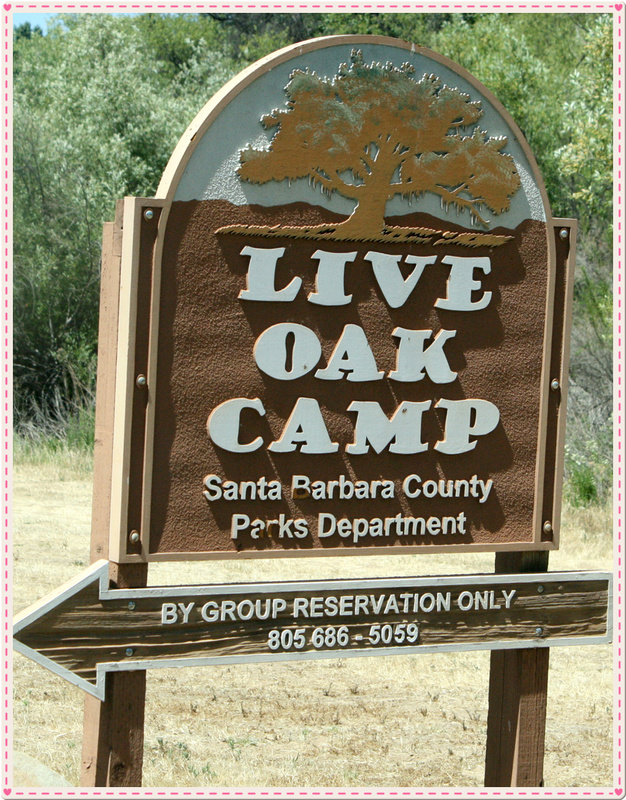 Live oak is a type of oak. Perhaps it is an acorn. Did you ask anyone at the camp? What kinds of interesting activities did you do? I have never seen any woodpeckers around my house. I also have not heard woodpecker in real life peck anything. Ha ha! Why would a woodpecker want to peck a hole in your roof? I think all woodpeckers like to get their beaks on something! I think it is an acorn too. I searched it up on Google Images and it was exactly the same! 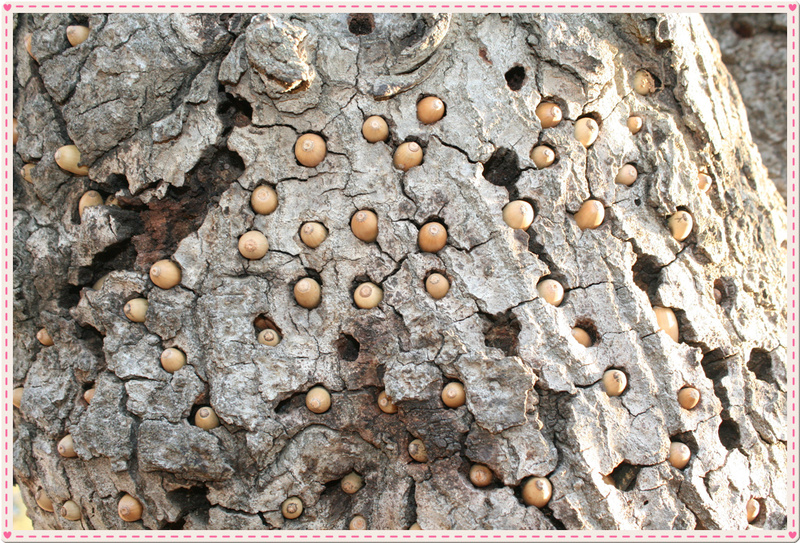 Have you ever seen trees with acorns inside of them? We actually went camping because my Chinese school invited us to this camp, but you had to pay eighty dollars per family. For the first night, we sat around a fire and played games. For the second night, we had a talent show and watched the movie Life of Pi. As you can see, I had very good camp days! Your camp sounds like a wonderful place to visit! What were some of the games you played around the campfire? (campfire = compound word!) :-) I wonder if I know any of them. You mentioned that the camp was at the invitation of your Chinese school. Did everyone speak Chinese at the camp? I hope you did because that is the way you learn a new language.